BladeMail – The mail monthly subscription service for razor blades, get your weekly allocation of blades delivered straight to your front door. 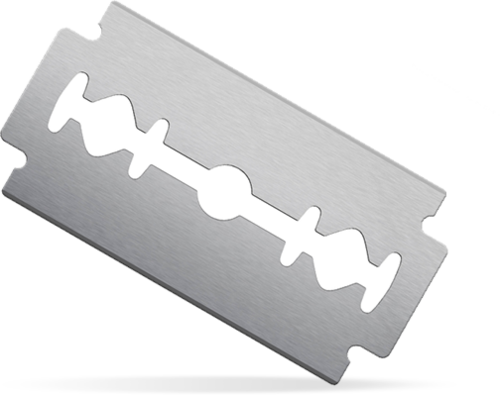 Razor blades at 20% less than supermarket prices. I came up with the idea back in 2011 and after some initial research it looked like a viable service. I found a local supplier of the blades which were significantly cheaper than retail. There was a bit of competition in the UK including blademail.co.uk which has been running since 2000 but the website is terrible and they don’t have a subscription service. So my assumptions were that other people were also buying blades currently with their food shop and that they were using blades just once then chucking them. Well assumption one appears to be pretty spot on but assumption two was way off. I spoke to a few of my male friends and found that they used each blade for at least two or three shaves so I was just a bit weird by only using them once. This brings down the blades required per month to approx 8. While I was still pondering the business concept the Dollar Shave Club launched in the US with an amazing brand and edgy marketing style. This has been followed by some European startups. With some experience of online subscription services through Urban Coffee Company & inbizvest I know how hard it can be to make them work. The main challenge is acquiring customers at a cost effective price, this typically requires a great virality to the service and a bag of cash to spend on pay per click. I am also not sure I buy into the race to the bottom with the price ($1, €1 per blade) or that the convenience issue is strong enough to shift people onto the service. Time will tell if I should have pursued this one or not?